In Rich Silvers’ latest foray into the shadowed recesses of the human mind, Julian Barnes survives a terrible automobile accident only to remember nothing when he awakes. As he struggles to recall the events of that fateful night, he’s cajoled, bribed, and threatened until he’s not sure what’s more dangerous: losing his memory or getting it back. 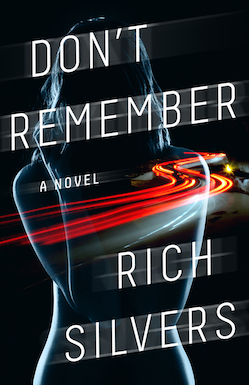 If you enjoy fast-paced suspense that grabs you by the throat and doesn’t let go, you’ll love Rich Silvers. From grief-stricken obsession to trauma-induced amnesia, Silvers’ novels feature real, imperfect heroes determined to navigate the darkest depths of their own psyches and confront the truths within – no matter what the cost. Thank you for stopping by. Come in, get comfortable, and browse. Read an excerpt or two. Learn how you can help missing children and aid the research being done on Lewy Body Dementia. Visit Rich’s Blog, where he talks about writing, life, running, and how they all fit together. Check out News and Events for links to reviews, press kits, and more. And be sure to scroll down and add your name to Rich’s mailing list, so you don’t miss out on new releases, special offers, and author visits in your area! 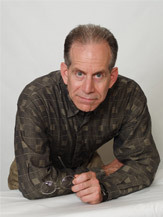 Rich Silvers is an author of crisp psychological suspense. He left a career in finance to pursue his lifelong dream to write books. Born in the Bronx, Rich currently lives in Westchester County, New York, with his wife, Cathy, and their pet parrot, DJ. Rich's roots in the world of books actually predate him, as his parents met in a book bindery. Copyright © 2019 Rich Silvers. Site by Smart Author Sites ... Websites for Authors.